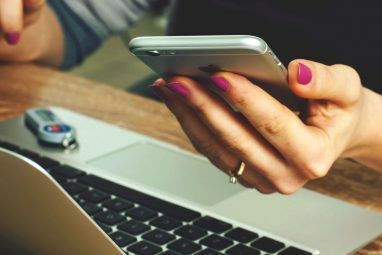 If you are an avid user of IM messaging systems, then you will know that here at MakeUseOf, we are constantly in search of new IM apps, as well as the latest advancements in the field of messengers. Shankar’s article of 15 IM tools 15 Addons to Enhance your Instant Messenger 15 Addons to Enhance your Instant Messenger Read More is a good example of that. For years, MSN Messenger was a well known and popular chat program a lot of folks used. 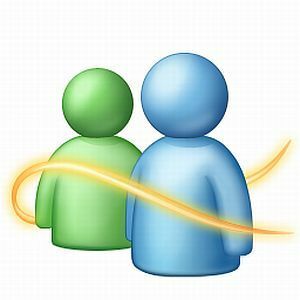 With the advent of GTalk, Yahoo IM, Meebo, Digsby, Trillian, and so many other chat programs, MSN really started falling by the wayside. In order to rebrand the IM app (along with grouping other social network services under the one umbrella), the app was renamed “Windows Live Messenger” and packaged along with other Windows Live apps. 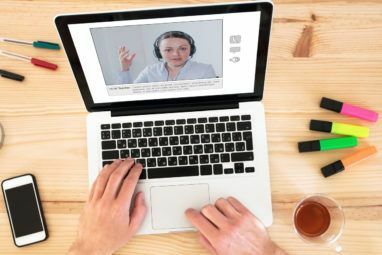 Last year Jack did an awesome job covering a number of the best features Windows Live Messenger 5 Cool Tips & Tricks in Windows Live MSN Messenger 5 Cool Tips & Tricks in Windows Live MSN Messenger Read More has to offer. 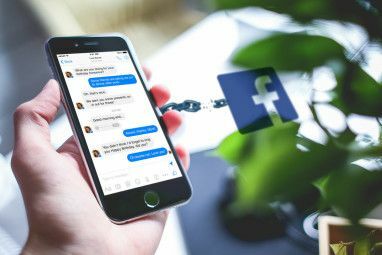 In this article, I’d like to cover some some additional features, and ways you can use Live Messenger to quickly transfer photos and other files to your friend’s computer. One of the most annoying things about most of the older, original IM applications like Yahoo Messenger and MSN Messenger is the fact that they are so isolated from other social networks where your friends hang out. This is gradually changing as these older IM apps have to compete with newer IM systems like Meebo or Yoomo that integrate multiple IM accounts into one client. You can import contacts from all of your top social networks and email systems like Facebook, LinkedIn, Outlook, AOL Mail and even your Gmail account. MSN Messenger will sort through the email addresses of your contacts and try to determine whether or not these people are already in the Windows Live system. You can select which people you want to connect with inside Windows Live Messenger, and the system will send a mass invite out to those friends. The file appears embedded right inside the chat itself. If it’s a photo you’re sending, Windows Messenger will now actually display a thumbnail image of the photo. A request is sent to your friend to accept the file transfer. Once they accept, you’ll see the status bar showing the transfer taking place. As you can see, sending and receiving files in Live Messenger is pretty straightforward. However there are a few things you should set up before you start receiving files from friends. Click on Tools, Options, File Transfer to access the file transfer properties. Here you can set up how incoming files you receive from friends are automatically handled. You can save incoming files to a specific folder, enable automatic anti-virus scanning of those files using whatever software you prefer (or install Windows Live OneCare). If you want to send and receive files and photos from your mobile device, you can enable Windows Live for Mobile on your account by clicking on “Phone” and the “Mobile Settings” button. Once you’ve set up Windows Live for Mobile, you can automatically share pictures that you take on your phone, and you can access the whole range of mobile apps now available on Windows Live Mobile. There are also a whole range of cool things you can do with Live Messenger – some have been part of the software for a while and others are somewhat new. If you read my article on the MSN Gaming Zone 5 Reasons You May Want To Keep & Use MSN Gaming Zone 5 Reasons You May Want To Keep & Use MSN Gaming Zone Read More , then you will know that Microsoft is trying to compete in the online gaming industry. One way it is doing that is by integrating online games into the Live Messenger. All you have to do is click “Games” at the top of the chat window and available games you can play with your chat partner will appear on the left. Another useful feature that Jack mentioned in his article is the Request Remote Assistance feature. Although I do have to report that when I tested this feature with our writer Dave, we found that the remote access component is flaky at best. It actually sent both of us offline and didn’t work. So, this feature may or may not work for you – but it seems Microsoft has a bit more work to do to get this working for everyone. Another little feature you might not have realized exists in Live Messenger is the little “record” icon at the bottom of the chat next to the emoticons. You can quickly record yourself and send the clip over the chat session to your friend. This is useful for when you’re not really interested in an audio chat, but you did want to send a clip of yourself doing something like singing. Whether or not you like Microsoft, it seems that Windows Live Messenger, formerly MSN Messenger, will probably be around for a long time. It does seem that Microsoft is continually improving on the IM software by adding some additional, pretty cool features like those listed above. However, whether it will be able to fully compete in the future with all of the new, jazzy IM clients coming out remains to be seen. Do you find these features useful? What other things do you think Microsoft should do to improve their IM client? Share your thoughts in the comments section below. Explore more about: Chat Client, Instant Messaging, Online Chat, Windows Live. Nice overview, but you are using the older version of Messenger. Messenger 2011 has some nice new features as well. Since you like audio clips, for example, the 2011 version lets you send video messages now too. Also in the new Messenger, photos can either be transferred or just viewed right in line with the conversation. This is handy because sometimes we just want to see the photo being shared and don't need a local copy of our own. Hey dude, thnx for the summarization.But why can't I find the option of 'file tranfer' in my Windows Live Essential 2011.My OS is Windows Seven. Can any Digsby users comment on a comparison between the two? Specifically how it handles social networking/email integration. integration features are pretty good. I prefer Digsby on email integration. The only feature that makes WLM better than Digsby is the ability to chat with my contacts in Invisible mode. I am Jack who wrote the previous article. As per Remote assistance, I tested with myself in my own LAN. It would probably work best if you both have a reasonable quick upload speed. Hey Jack. I have used Remote Assistance between my computer running 64-bit Windows 7 Home Premium and a friend's box running 32-bit Windows Vista without any real problem. There was issues when I tried same operation using 32-bit XP Professional SP3 instead of Win 7 at times; but even then it appeared to work eventually, with persistance. Personally, for the odd remote desktop, I will use Windows Live Messenger, otherwise I have been using Crossloop - which seems to work quite well.